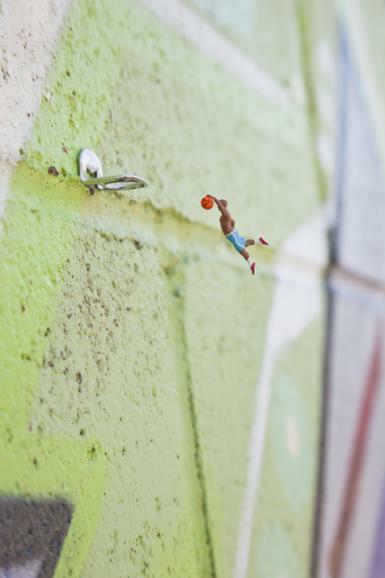 We are delighted that Slinkachu will exhibit at .M Contemporary, Sydney, as part of the group show entitled 'From the Streets'. The exhibition featuring a number of works by the artist will run from Saturday 22nd March to Sunday 27th April 2014. Continuing a long tradition of major graffiti artists that have helped to bring street art to the forefront, it presents some of the most exciting contemporary street artists making art on and off gallery walls. The exhibition consists of entirely new works by leading street artists from around the globe including: Slinkachu (UK), Mademoisselle Maurice (Paris); Chris Uphues (New York); Morley (LA); Jef Aerosol (Lille, France); Kilmany Jo Liversage (Cape Town); Jaz (Buenos Aires) and Ever (Buenos Aires), as well as locally renowned street artists Australian Collective.